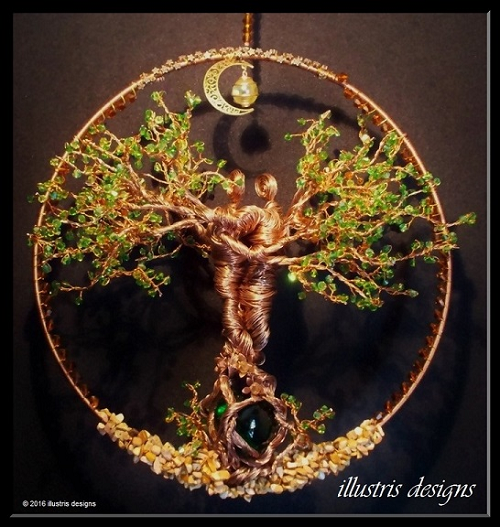 Cindy, a wire artist based in The Netherlands, really shows how you can scale up from wire pendants like the popular tree of life element to stunning home decor art. 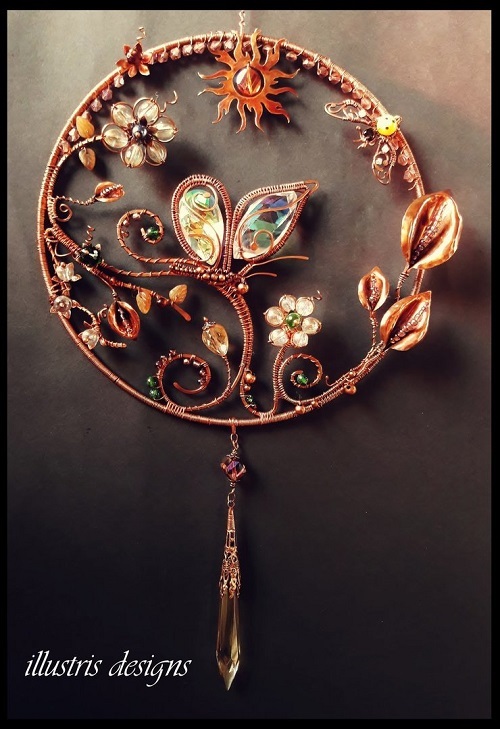 You can see her unique wire suncatchers and wall art designs on her Etsy, Illustris Designs as well as on her Deviantart site. 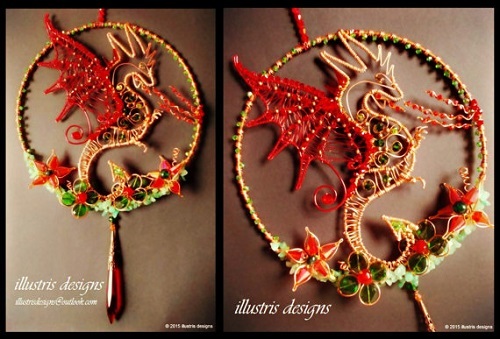 Some of her designs show mythical creations such as a unicorn, dragon and a glorious phoenix. But birds and butterflies are also featured. One wonderful design is the wired couple tree one. 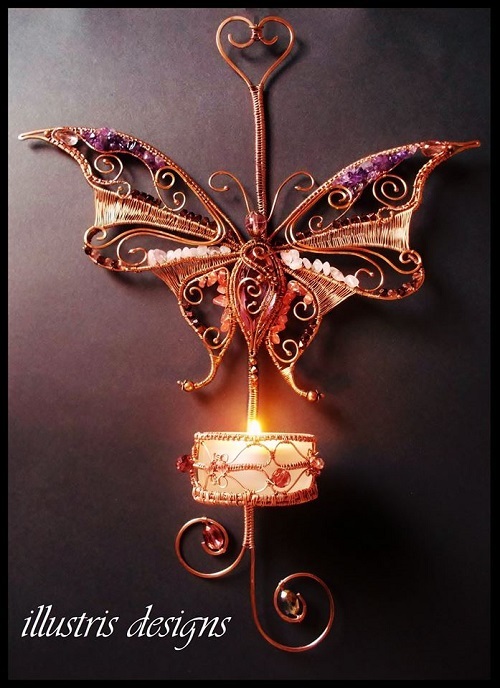 I also love how she made some of her wall art as candle sconces. 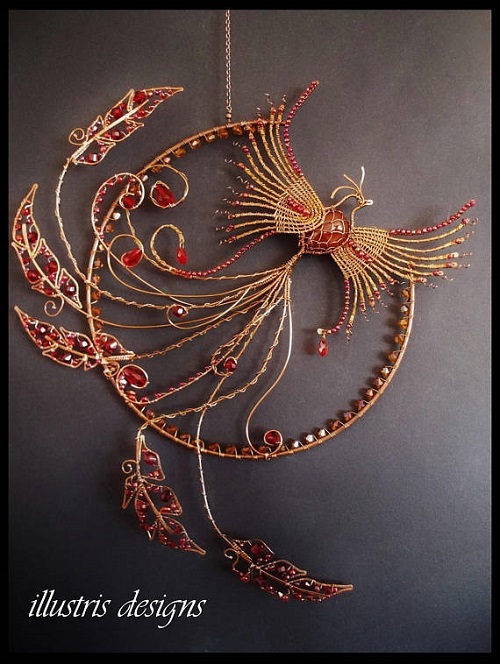 This is one wire artist with an inexhaustible fund of creativity and imagination! I meant every word! 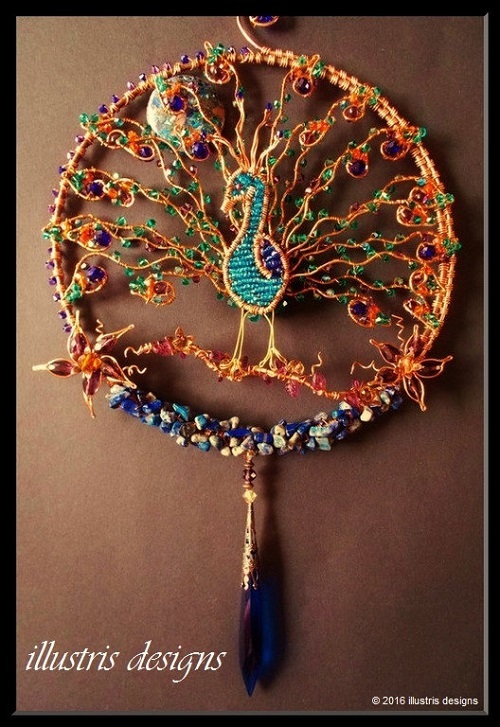 Your wire passion is lovely and most inspirational! Wow! 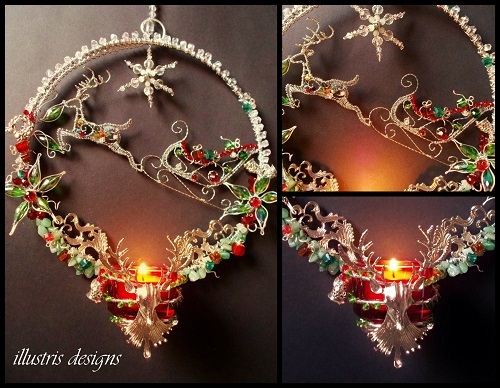 These are totally stunning!! Thank you for sharing these with us, Pearl. 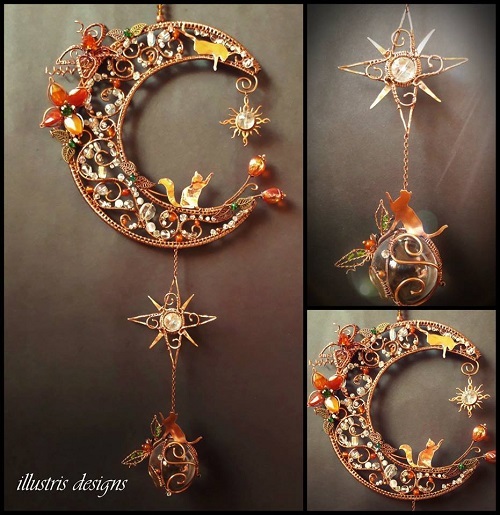 They are such lovely work.